Those are incredible-looking. The guts look like little jewels. Do they sink or float, because if they float, you could use them to garnish a winter squash or tomato soup. Or plop some down next to a mound of cashew cheese. I would make Lime bars with them, like lemon bars with lime, and very gently add them on top, or in the topping so they pop as you eat them!!! you could try freezing the little pearls and have them with cocktails and drinks - very funky mojitos! Or I can imagine them to go well with ice cream/sorbets, frozen or as garnish. I've never seen those before! How awesome. Maybe they would go well on top of bbq tofu?? What a crazy looking fruit? I think as they're so pretty they would make a nice garnish perhaps on top of a dessert- a vegan key lime pie or coconut-lime panna cotta perhaps? It seems like a waste to cut them up because they are so cute! I would make cocktails, Brazilian Caipirinha are my favorite with limes. Crazy/pretty!! Never heard of them! I would love to dump them over coconut-based ice cream and devour them. Yummmm. They look awesome! I have never heard of them before. I think they would look perfect in a dessert sushi. It would look like caviar only cruelty free! I can't wait to see your creation! I would LOVE to win the book, my favourite thing about MoFo this month was cooking from 500 Vegan Recipes, I loved everything I tried! Despite the cold weather, I'm in the midst of an ice cream kick, so I propose using them to make a fruity, vegan soy ice cream. Maybe add them to a basic vanilla recipe to make a lime flavor? I bet they'd also make for a nice garnish - they look like techo-colored little jewels. Yum! I would use them like tapioca balls in boba tea or gently mix them into scone batter to make ginger lime scones! Wow. These look awesome, but at $45/pound, this is probably the closest I'll ever get to one. I think they'd be really fun in a sweet, dessert "sushi" as the roe-substitute. They look so cute and (dare I say??) elegant. I think they'd be so fun frozen into ice cubes for some adult drinks. But, again, so pricey! Maybe you could use the limes (which I have never seen before and are awesome!) to garnish some kind of citrus-flavored sorbet? Thanks for the great giveaway! I can't wait for your new book to come out! Everything you make looks divine. I love the cocktail idea! They must look so cool in a drink. Otherwise, I think they might make an interesting addition to ice cream (vegan, of course)! Great book! 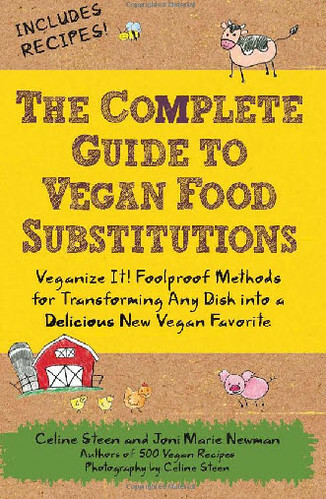 It's tricky for me because I have often make gluten-free recipes vegan or vegan recipes GF. So this would help for the former. I think a raw tart would be really cute with these. You could make a nut-and-date based crust, then make a creamy cashew or coconut based filling, then put some of these on top. Or blend them into the filling as well. I'll keep an eye out for them, so cute! I'm thinking they would work well in drinks, either like in bubble tea or cocktails! I wanna put them in cocktails! I think I would use them as a garnish on ice cream/sorbet or in cocktails! 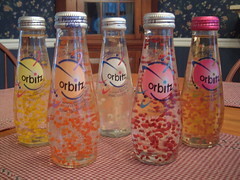 Some sort of fizzy fruit drink. They look like fun! Oh, these are so amazing! I've never seen them before. I think I would use them in some "deconstructed" guacamole. Instead of mashed avocado and lime juice plus garlic and salt, I'd cube the avocado and stir in the little lime pearls gently with the salt and squeezed garlic cloves. Then I'd top some sopes with it. These little fruits sure are intriguing. From the description of the taste(I looked it up), I'm thinking a coconut, veggie curry with the finger limes as punchy note of flavour might be an idea to try. The curry could be topped with toasted coconut and a few finger lime pearls. 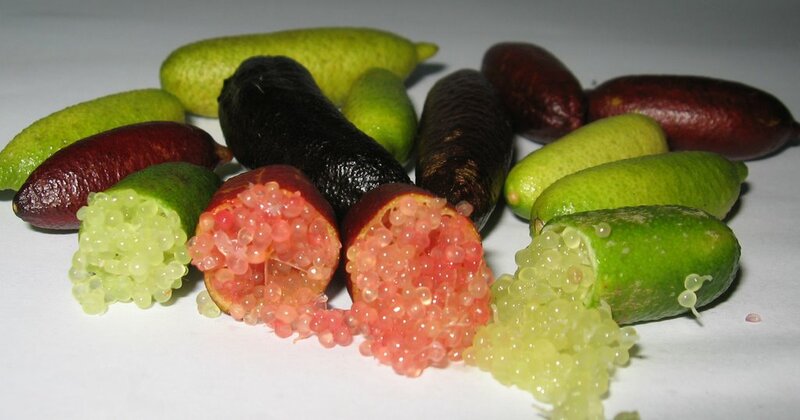 Boy, I'm getting hungry, I just might try something like this myself (I can't find finger limes in Southern Ontario). I'm just going to use lime juice and zest. PS- It would be great to receive your book. my favorite thing with lime- guacamole! The fruit looks interesting. I haven never seen anything like that before so I am lost on how to use it. I would maybe use it as a topping for some tropical soy or coconut yogurt, maybe added to crepes with other fruits as filling, or just eat it by itself. The book has been on my wish list for weeks and i would be thrilled to win it. Stirred into my favorite pineapple greek yogurt for sure. Not too fancy...just simple clean food! Love it! Wow, i've never seen those bad boys before! I'm not sure...i might chuck em in a curry, or maybe make a salad dressing with them. I love the combination of chili and lime so I reckon that'd be a treat. And maybe some kind of lime cheesecake for dessert, with a side of a lime margarita. Going too far..? I think these would go great on a vegan pavlova (An Australian desert) :) Most fruits go great on the top, especially passionfruit seeds, so I think these would look great too! First thing I thought of was making a citrus sorbet and also use them as topping. Gorgeous. Thanks for sharing those, I've never seen them before. i had these at a local farmer's market in Western Australia where they were marketed as a native desert lime. They are really quite tasty, the ones i had were very tart with a crisp popping sensation when you bit into them. yum. Those are crazy little things...never seen or heard of them. I have no clue what to do with that. I would loooooove a copy of that there book though. How beautiful they are! I'd do a rice pudding, maybe with some mango, but add agar to make it firmer. I'd mold it into bites and either coat or garnish the bites with the lime whorls, depending on how sour they are. HOLY COW, those are the most amazing little things EVER!!! I would LOVE to see what they'd do in boba tea. Some type of cold salad with quinoa would be texturally and visually interesting - maybe cilantro and tomatoes and black beans with quinoa and the lime "pearls"? Or I think someone else mentioned it - but - a type of "guacamole" with everything chunky. Even just in some strawberry-mint sorbet they'd be AWESOME! They are so funny looking! Besides the obvious stuff like using them in cocktails or salad dressings, what about trying to bake with them? You could caramelize them a bit and then make some lemony or rosewatery upside-down-cake with them. Or make jam out of them, maybe adding some cointreau along the way. Or why not boiling them in syrup and topping them with whipped coconut cream and enjoying them in their own right? Have fun! I would use these in a vegan ceviche. Mushrooms or tofu for the mock seafood, the lime and traditional ingredients. wow, those things look so cool! I'd make vegan sushi with avocado and carrots and then use the "caviar" as a topper once the rolls have been sliced. A cold salad with quinoa or couscous and mint yum. I'd probably have them in some good soy yogurt, with some agave mixed in for good measure. I would make mango or banana blinis, and make a sweet tofu ricotta and finger lime "caviar." I would probably serve them as a little finger dessert... maybe some vegan cream cheese on a graham cracker, topped with the little lime pearls. Maybe sprinkled with a bit of sugar for sweetness. I'd use these in a lime cheesecake, make some chocolate and lime brownies or make margaritas. Never heard of or seen these before! How unique! I'd definitely use the little pearls as garnish. Do they taste like lime? They could add a nice zing to lots of savory and sweet items. I'm a little stumped as to what the best preparation/use of them would be, since I've never seen these before. Good luck! I'd put them inside and on top of a key lime pie/pudding for a little extra bite. On top of some vegan tarts? Seems like there should be some way to use them for a kids' tea party too - looks like something kids would think was really cool/fun. Or maybe just in some kiddie cocktails. Hmm...to me it looks like those would make an AMAZING jam or compote. Also, they'd go great at the bottom of a funky boba tea drink...instead of those gruesome little tapioca bombs, something fresh and fruity. Mmmm...ok, if I win, can you just send me the limes, lol?